Ronen's Opening Survey: Anti-Dutch 2 Bg5 (5 part series). A80: Dutch, 2.Bg5 variation. Players wishing to play the Dutch Defense must certainly pay as much attention to Anti-Dutch systems as they do to the main line, as it is these very lines that can more frequently arise at club level. And one of the most popular is the tricky 1 d4 f5 2 Bg5, a line that’s certainly a blood brother of the Trompowsky Attack. Black has to be extremely careful when facing 2 Bg5, because many up against this line have fallen victim to a miniature with White winning with a crushing attack in under 25 moves. This line is also a favorite in online play, and especially here on ICC! 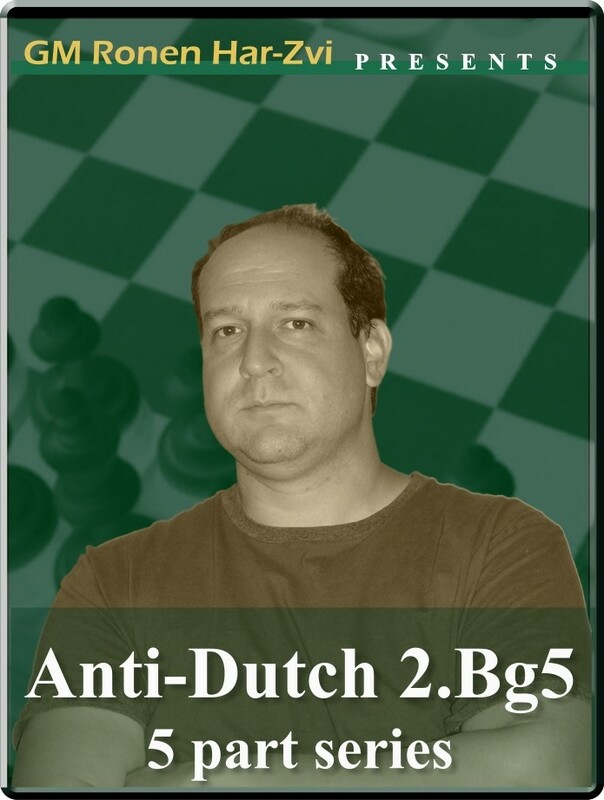 And in a new series of Ronen’s Opening Survey, GM Ronen Har-Zvi explores the cut and thrust of the blood-thirsty Anti-Dutch with 2 Bg5.